Leicester City manager Claude Puel has come under-fire from certain sections of the club’s support this season, over the Foxes often chided unimaginative style of play and dull attacking edge. The criticism routinely levelled at Puel’s team isn’t without basis – City have scored just 26 times in 22 Premier League fixtures this season, a total that makes them the division’s 11th most threatening team just ahead of Brighton and Burnley. But while Puel has thus far struggled in his attempts to develop a productive attacking formula at City, Leicester have excelled in another area under the Frenchman’s direction. Ahead of the latest round of fixtures this weekend, Leicester City have the 5th best defensive record in the Premier League and the lowest goal concession figure outside the current top 4. City have shipped just 25 goals in their first 22 games this season, but how exactly have Leicester gone about turning the Premier League’s 5th worst defence last year, into the division’s 5th best this time around? Last season, only 4 Premier League clubs conceded more goals than Leicester City. The Foxes allowed their opponents in to score 60 times in total, a final figure just 8 shy of the division’s joint worst defences for the season at West Ham and Stoke. In a relatively short space of time, Claude Puel’s restructure and reorganisation of Leicester’s defensive unit in 2018/19 has returned staggeringly positive results across the board in a range of metrics. Looking at the table above, we can see that Leicester have improved their numbers in a series of defensive areas this season compared to their equivalent figures from last year. City have conceded fewer shots on average, made more tackles, more interceptions and completed more clearances per game than they did during their worryingly porous 2017/18 campaign. A key element of Leicester City’s positive defensive evolution has been the shrewd personnel changes made by Claude Puel in a number of important positions. The Frenchman has largely kept faith with the tried and tested central defensive duo of Wes Morgan and Harry Maguire, though there have been changes either side and in front of City’s preferred defensive keystones. At right back, loyal servant Danny Simpson was replaced by the formidable Portuguese flier Ricardo Pereira. The 25-year old has been a revelation since he completed his €25m move from FC Porto to Leicester last May. Pereira tops the charts in the Premier League this season for average tackles made per game with 4.2 and the Portuguese international has averaged 1.8 interceptions and 3.1 clearances per 90 minutes for City in a phenomenal debut campaign. At left-back, Christian Fuchs has been almost entirely phased out of the team in favour of the emerging Ben Chilwell. The 22-year old has missed just 1 Premier League game this season for Leicester, while Fuchs has started only once. In front of the back-four, Puel has paired his energetic compatriot Nampalys Mendy alongside ball-recovery expert Wilfred Ndidi this season in a double dose of defensive insurance for Leicester. Nigerian international Ndidi has been particularly effective playing the role of destroyer, and the 22-year-old one of the top defence-screening midfielders in the Premier League for a couple of seasons now. Ndidi’s 3.1 tackles per game on average this season puts him 6th on the Premier League’s overall metric for the season, just a few places below his teammate Ricardo Pereira. In fact, Leicester are the only Premier League club to have 2 players in the top 10 list of tacklers in 2018/19. The strides Leicester City have made in defence have had huge positive knock on effects in other areas. Their ever-present goalkeeper Kasper Schmeichel is now one of the most under-worked stoppers in the Premier League. 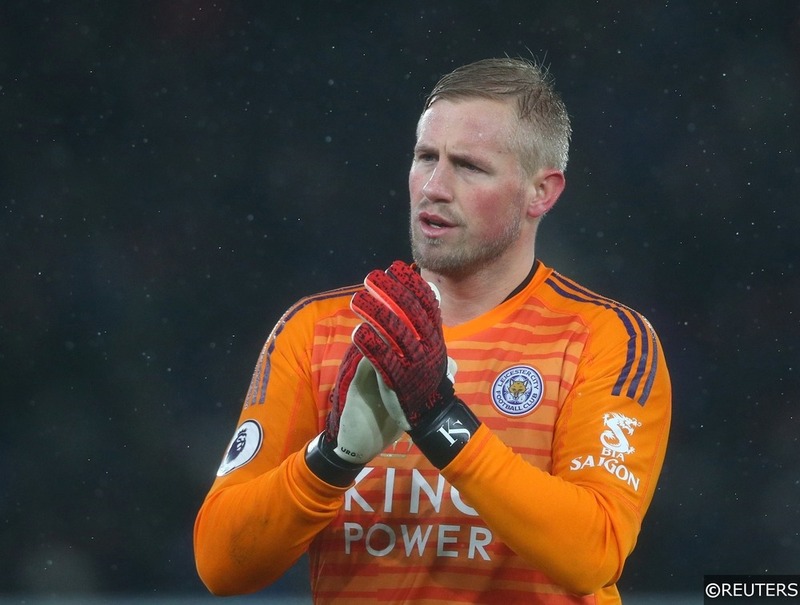 Schmeichel has only had to make 2.3 saves per game on average this season, which makes him the 17th busiest keeper in the league for that statistic. Of course, a low number of average saves per game could mean that a goalie simply isn’t keeping enough shots out, but in Schmeichel’s case at least, Leicester’s low shots conceded per game figure suggests that he has had little to do rather than doing little. Elsewhere, the impressive numbers keep on stacking up for the Foxes. Leicester rank 3rd in the league for number of passes blocked on average per game with 9.1 and only Manchester City, Chelsea, Liverpool and Tottenham have kept more clean sheets away from home than Leicester so far this season. It’s worth pointing out that City are hitting these numbers having spent the 6th highest amount of time in their own defensive third this season. Leicester have spent 28% of their games in third closest to their goal in 2018/19 – only Brighton, Newcastle, Crystal Palace, Bournemouth and surprisingly, Arsenal have spent more time in defensive zones this season. Thanks to the considerable improvements their defence has made from both a collective and individual perspective this season, Leicester look poised to record their best Premier League defensive figures since their 2015/16 title winning campaign this year. As things stand, City are well on their way to reinventing the term “fox in the box”, stripping back the idiom’s old meaning and rewrapping it in new defensive connotations. 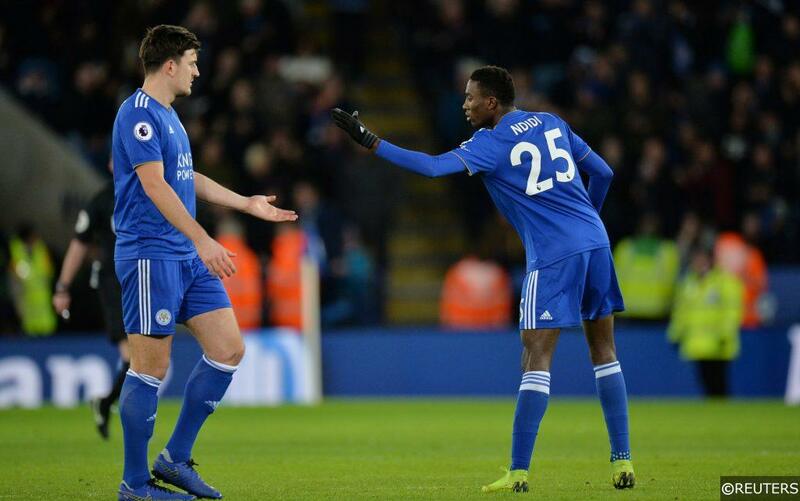 With tough trips to Anfield, Wembley and the Etihad still on the horizon for Leicester, their new defensive mettle will be severely tested, though City’s new-found robustness should help them approach those difficult fixtures and the remainder of their season with a renewed confidence. Categories: Blog, Football, and Premier League. Tags: Claude Puel, Harry Maguire, Leicester, Leicester City, Premier League Analysis, and Wilfred Ndidi. Team Tag: Leicester City. League: England Premier League. Sports: Football.